Top House Dem Steny Hoyer: "There Is A Spending Problem"
"You have to pay for what you buy. In the tease that came on, I said that there wasn't a spending problem. There is a spending problem. 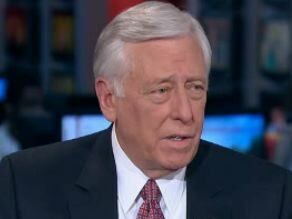 What I meant by that was that you don't have a problem if you pay for what you buy," House Minority Whip Rep. Steny Hoyer (D-MD) said on MSNBC's "Morning Joe" today.